over the past couple of months i've been trying to read more blogs -- i figure the more blogs and websites i check out, the more ideas i'll have for my own blog. i'm still working on that part, but in the meantime i found a cool new project to work on this year: 52 lists. i'm pretty into making lists. 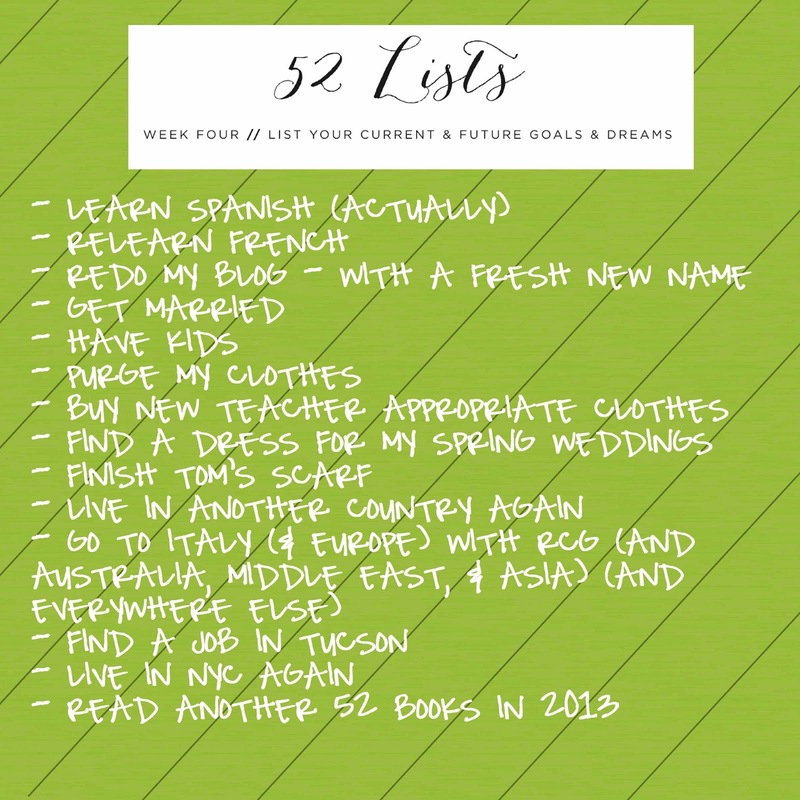 but normally my lists are about the seventeen million things that i have to do. when i found moorea seal's blog and her new project, 52 lists, i thought it would be a good opportunity to reflect about my life a little. however, being reflective is hard. really hard. 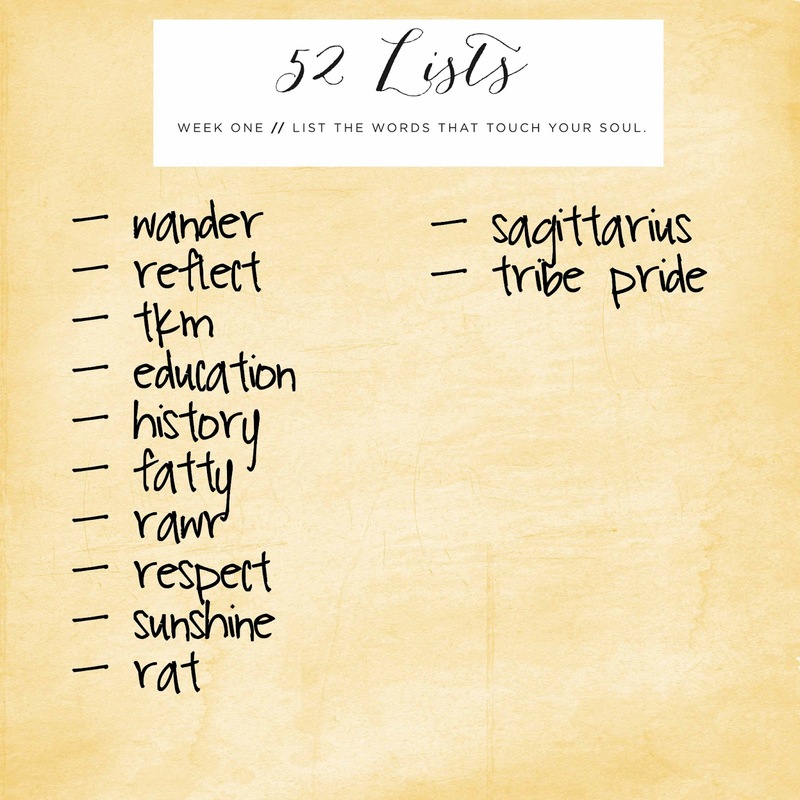 as a result, these lists are pretty sparse, but i'm hoping that the more lists i complete, the easier it will be to reflect about where i've been and to see where i'm headed. 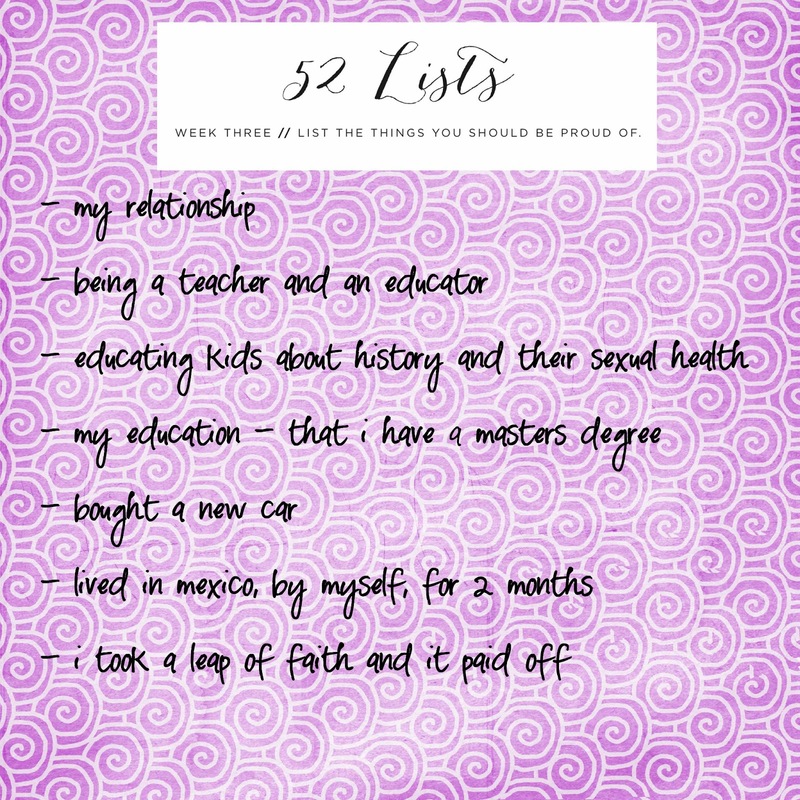 who knows, maybe i'll even be able to pull my life together with the help of these lists. I love your happy lists. It seems as though you know how to enjoy and appreciate the blessings of your life. thanks relyn! i can't wait to check out your lists too!